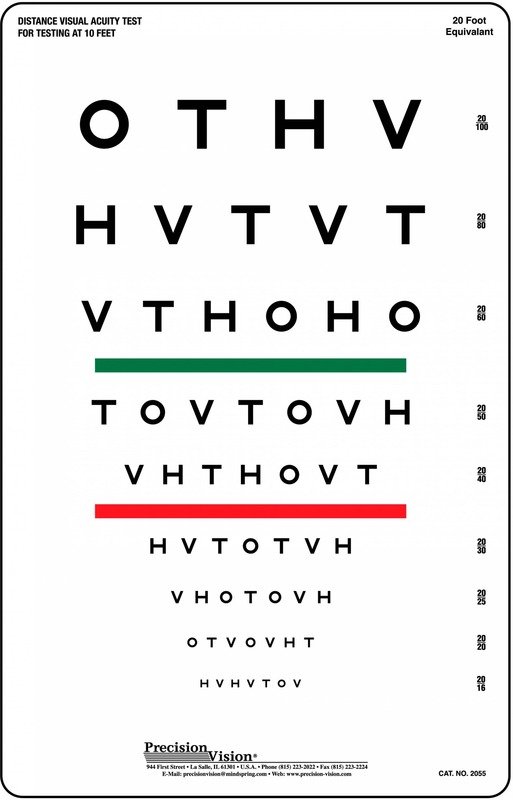 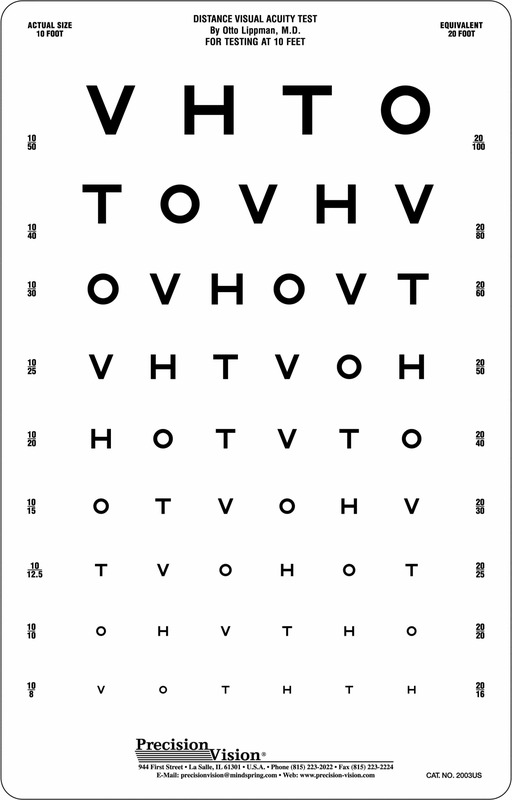 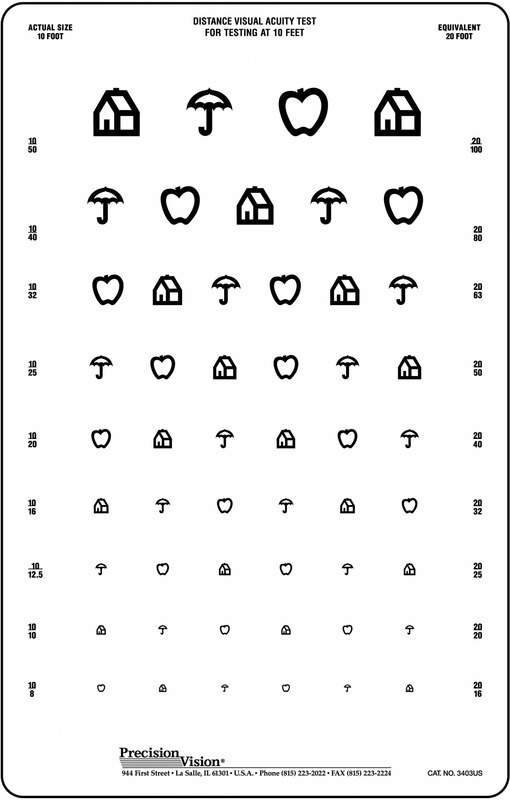 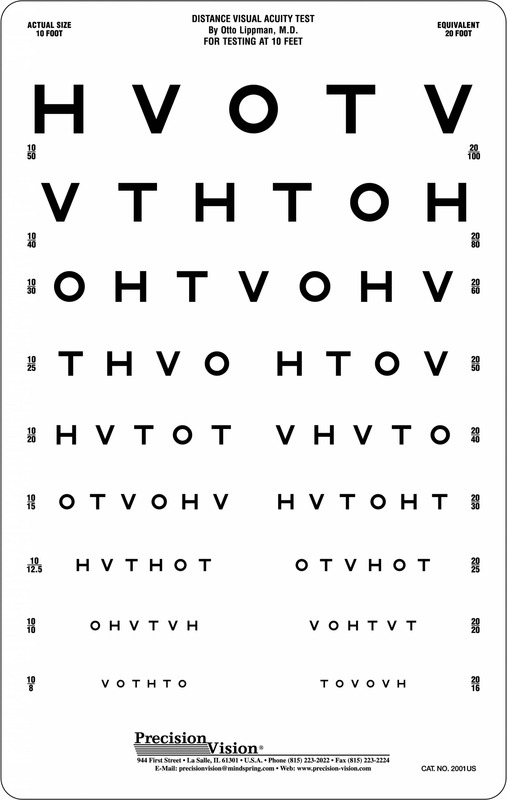 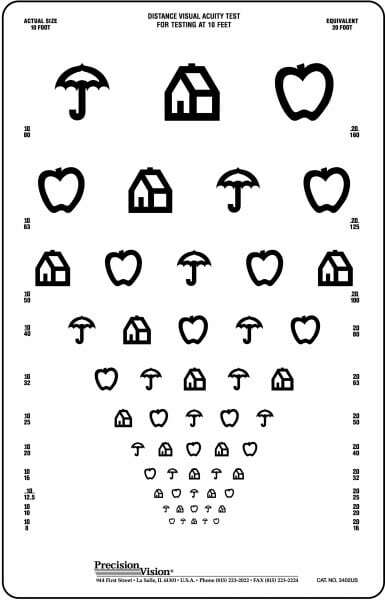 Used for vision testing in children by school nurses across the U.S.
House, Apple and Umbrella are recognizable optotypes that are easily identifiable to preliterate children. 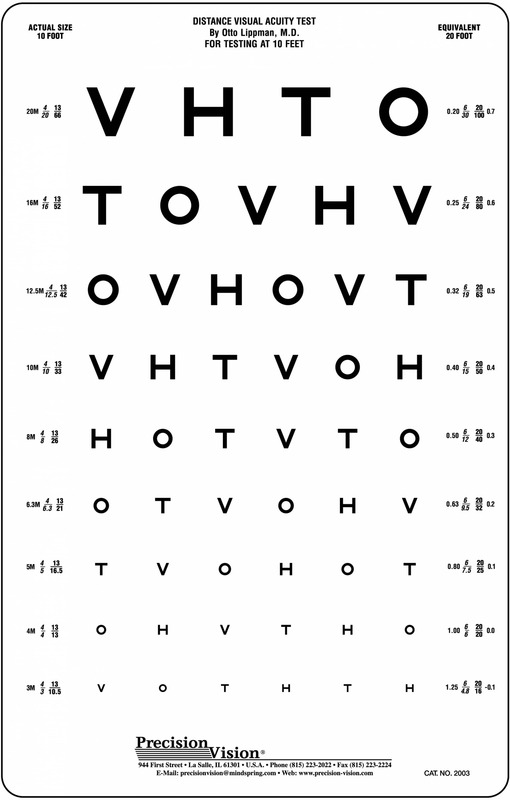 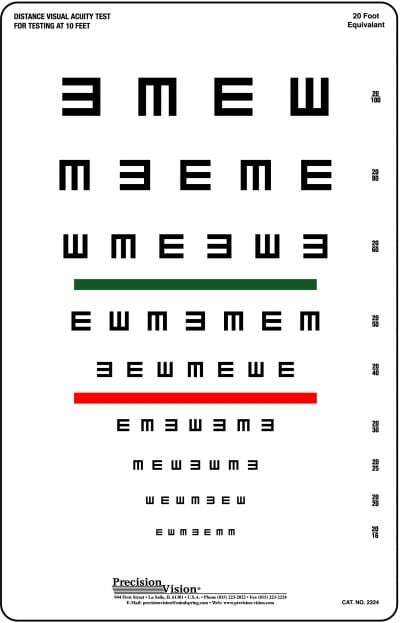 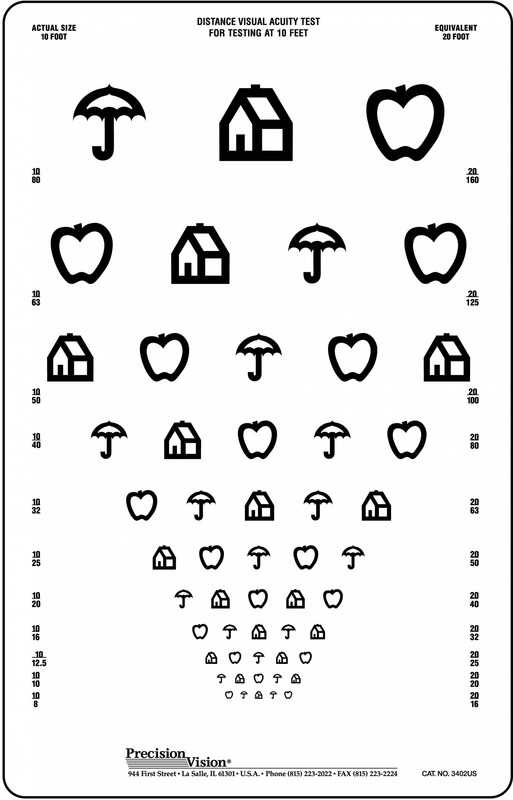 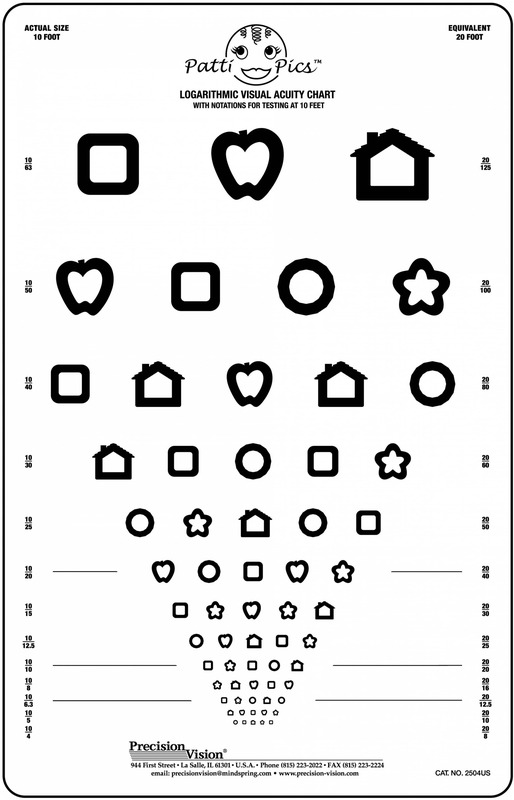 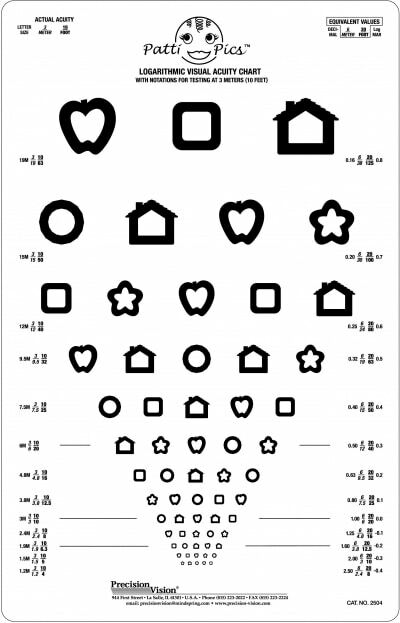 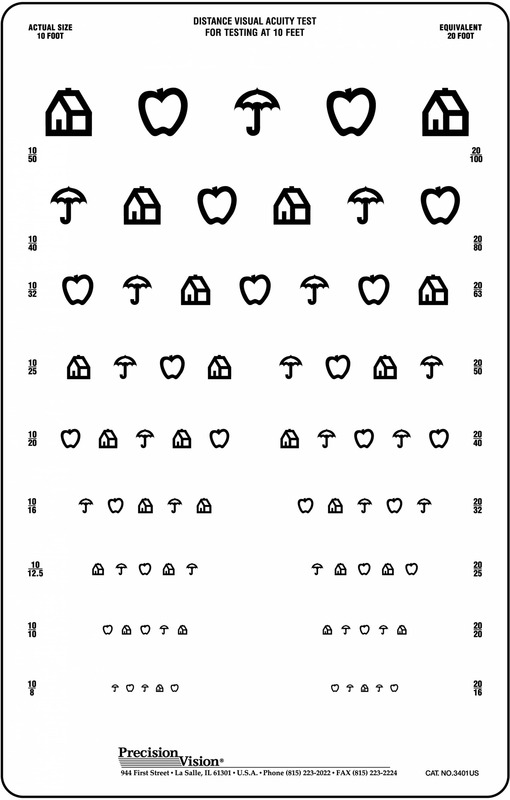 House, Apple and Umbrella visual acuity test is another alternative in preliterate symbol screening. 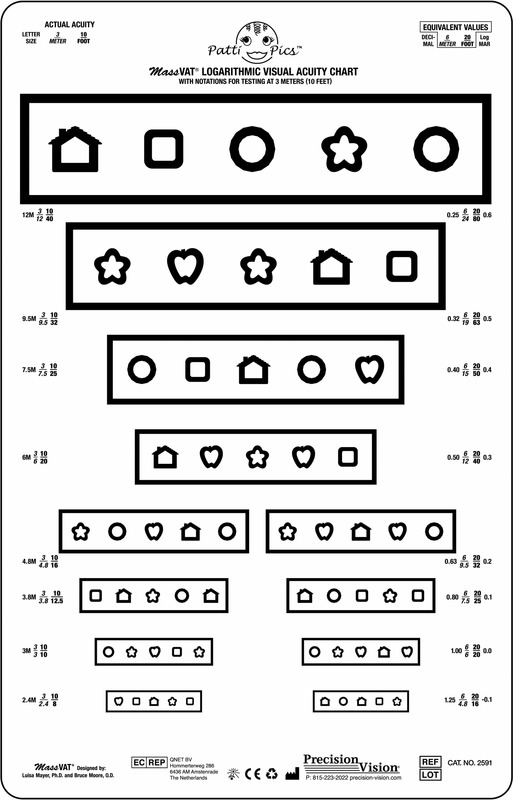 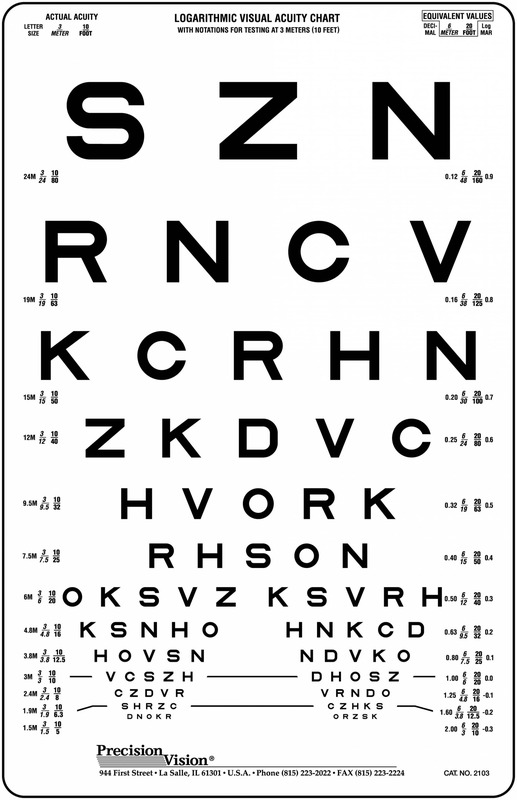 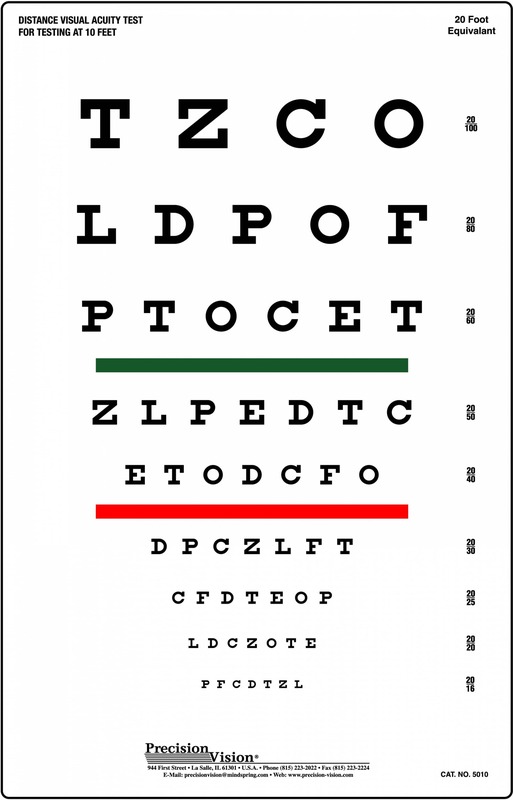 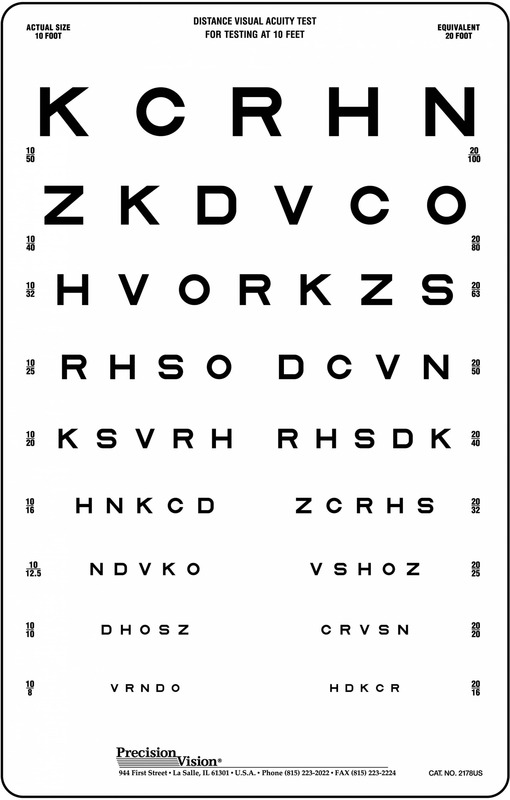 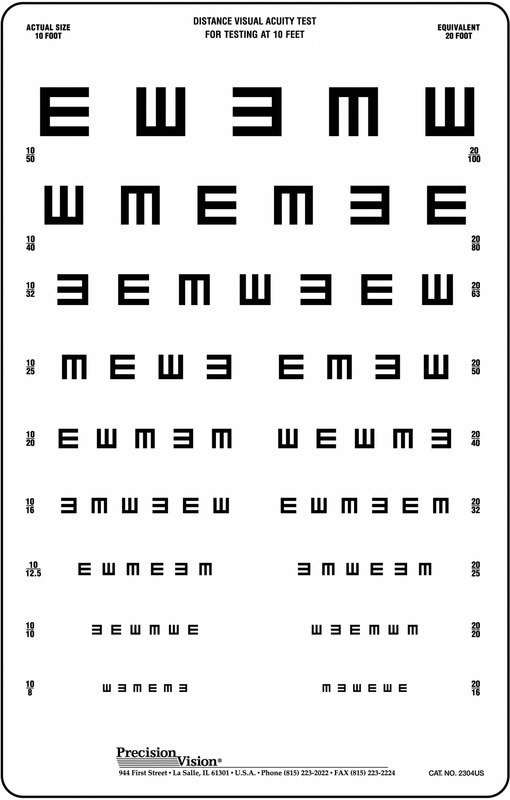 Chart features U.S. notations along the sides to prevent confusion and assist in distance equivalents.